A Garrucha town hall meeting this morning to approve the budget collapsed into farce after the opposition PSOE presented paperwork to prove that the town’s budget for this year is based on fake accounting. The opposition presented paperwork proving that instead of the projected 1.7 million Euro surplus, the town actually had a 2.5 million loss at the beginning of the year. The outcry was such that the meeting was cancelled until further notice. The opposition pressed home their attack by accusing the mayor of making up the budget as he goes along. 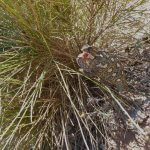 This entry was posted in Blog and tagged budget, corruption, garrucha by David. Bookmark the permalink.